As a military spouse and Air Force Veteran, this story was one that hit close to home. For my debut novel, I thought it was important to not only write about what I know but to also write about what I love. 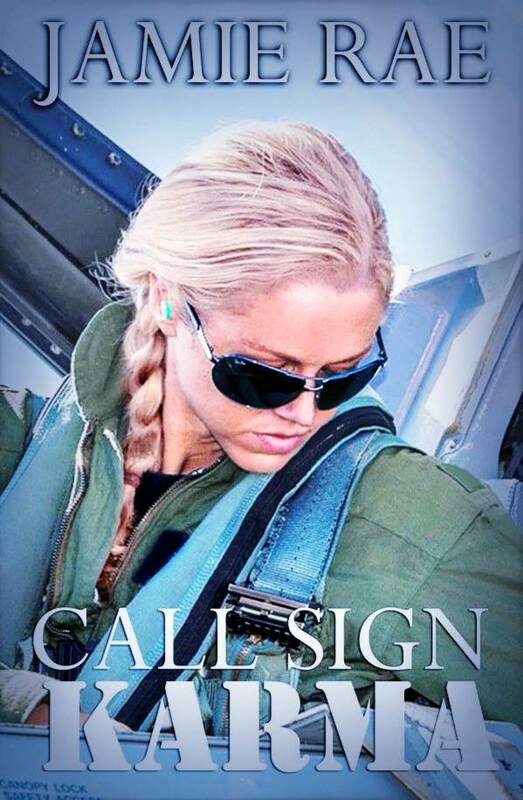 It was my goal to give the reader a raw and honest look into the life of a not only a fighter pilot, but also to give an inside glimpse into the emotions and situations that are experienced by spouses, family members, friends and anyone who has ever loved the brave men and women who have volunteered to wear the uniform and protect our freedoms. It is often said that it is not only the soldier who serves but the entire family. I have been on both sides and I couldn’t agree more. This is a glimpse into the opening scene where Tink relives her brother’s crash. And although she is watching it on a tablet, her pain is so deeply rooted that she feels like she is inside of the cockpit with him. There was zero chance of survival—for either of us. inferno. I watched in shocked horror from the window of the control tower as the jet fueled flames fed on his body, still strapped inside of the cockpit. still fueled my nightmares. A familiar chill skated down my spine. screen. The damn arrow glowed as if challenging me to touch it. Go ahead Tink, watch me one more time. nightmare that had consumed and wrecked my life. of the jet’s warning system rang out. altimeter screaming toward two thousand feet. stomach lurched. That voice, that command, still haunted me. thing as the jet continued its nosedive. had taught us in pilot training. the jet blitzed toward fifteen hundred feet. I leaned forward and my lips parted as if I were going to retch, but nothing spilled out. I forced each breath to prevent me from blacking out like Colin. His calm, sleeplike breaths seeped from the tablet’s speakers, haunting me in its wavelike rhythm. I held the tablet tight in my hands. The breaths were the last sound that I’d ever hear from him. A giant green arrow flashed across the video. It acted as a forewarning of the jet’s impending impact. My entire body shuddered as adrenaline thrust through my veins. the word ‘idiot’ onto her feeble attempt of a warning. I still hope I could stop it now? with a blaring detonation. The blood cooled in my veins. had watched it a thousand times, each time reliving the horrors of that day. But tonight, once was enough. fly the jet that killed my brother. I hope you will continue the story and if you do please drop me a line and let me know if I accomplished my mission! Until then…Who is your favorite brave man or woman who wears a uniform and keeps us safe? Please share! 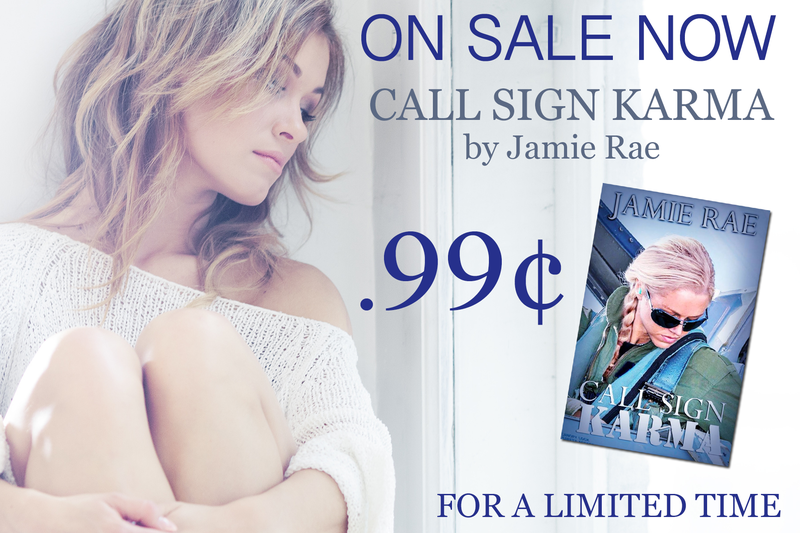 Posted on July 2, 2015, in Spotlight and tagged Call Sign Karma, Excerpt, Jamie Rae. Bookmark the permalink. Leave a comment.